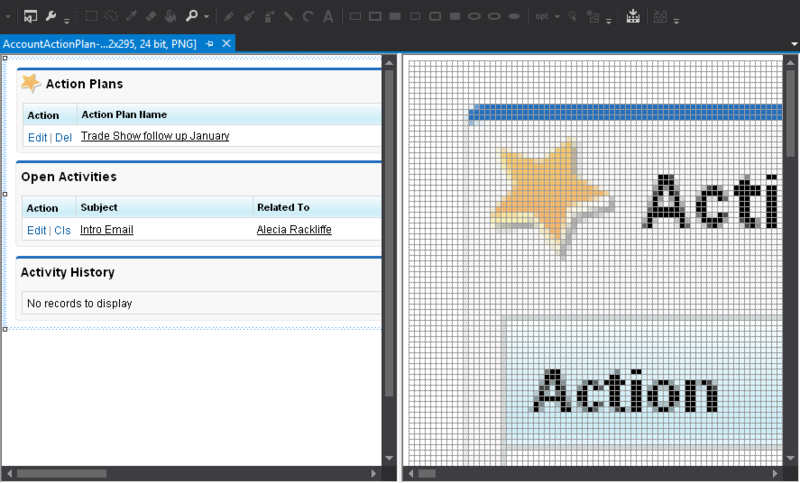 When developing custom Visualforce pages in Salesforce you usually add images to the Static Resources in order to reference them on the pages. The built-in Image Editor of The Welkin Suite provides you with the basic options of editing image files such as in-place preview and minor edits out-of-the-box with the help of the Image Editor toolbar. tools to zoom, rotate, drag, and select areas with the same color on the images being edited. The properties panel of this feature gives you the opportunity to set the color of your drawing tools to the ARGB format, with selecting different properties depending on the selected drawing tool. This might be not an ultimate, but an easier way for you to add changes to the images that you use in VisualForce pages on the fly, without switching to another application.